The Safety Committee's purpose is to improve our industry's collective environment, health, safety, and sustainability performance; to create a reputation with regulatory authorities and the public as an industry that is highly effective at managing environment, health, safety, and sustainability; and to learn and share best practices regarding environment, health, safety, and sustainability. To treat the committee as a high priority commitment and will make every effort to attend meetings and conference calls. To refrain from treating safety as a competitive advantage. To cooperate and be open about sharing safety information that would benefit the collective safety of our industry. 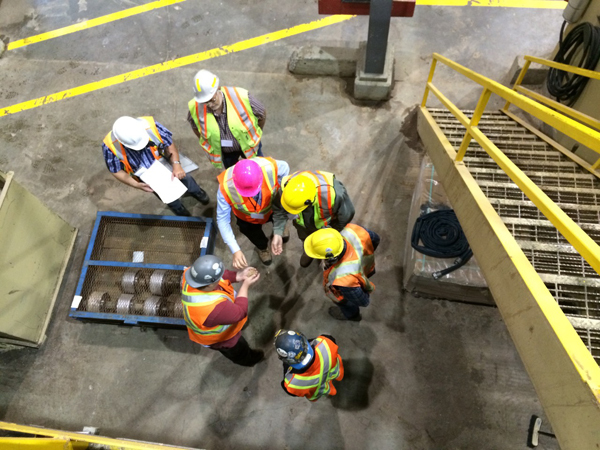 To commit to apply what is learned from the Safety Committee's work to raise their own company safety performance to the highest level. To be aware that each company's individual safety performance reflects on the reputation of entire industry. Members meet by conference call for one hour on the second Wednesday of each month at 11:00 a.m. Pacific time. The Safety Committee prepares an annual work plan and monitors progress against this plan on each conference call. Safety Committee members each volunteer to take responsibility for specific tasks from the annual work plan. Corey Gardner Aon Reed Stenhouse Inc.
Brian Letkemann Tolko Industries Ltd.
Jeff Mycroft Fike Canada Inc.
Christine Paradis Foothills Forest Products Inc.
Robert Tarcon Tolko Industries Ltd.